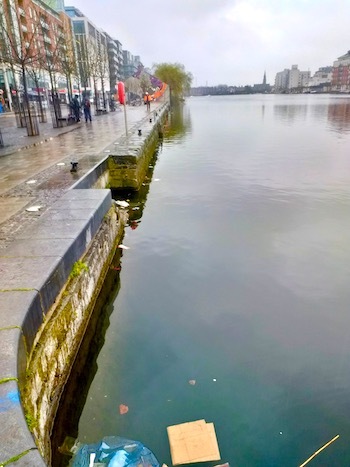 We invited the public as citizen scientists to gather water samples anywhere along the River Liffey and its tributaries on World Water Day, Friday 22nd March 2019. 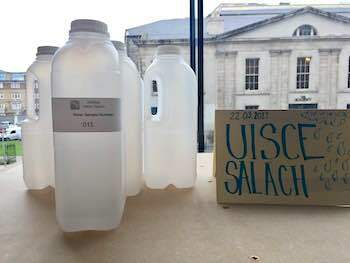 All samples are being analysed and the data will be used to construct a new artwork - Uisce Salach. 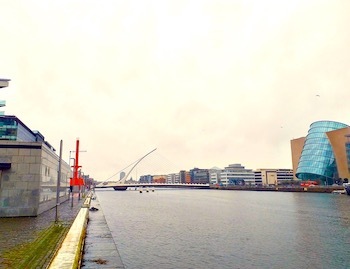 River Liffey, the Samuel Becket bridge and the Diving Bell. 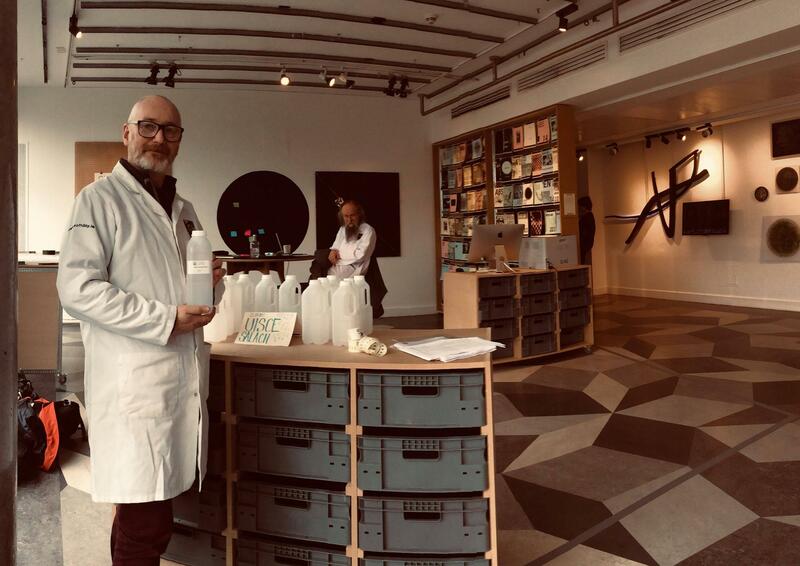 Participating citizen scientists picked up their water sampling kits from the Science Gallery Dublin. Some pollution was highly visible, especially along the quays and the docks. All data collected in this project will be anonymised and only used for creating an artwork.